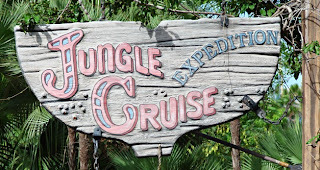 Set off on an exciting journey along the Amazon River, touring Asia, Africa and South America in less than ten minutes at Adventureland's Jungle Cruise. 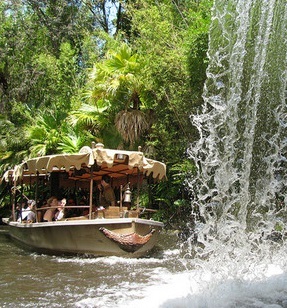 Themed around a jungle river outpost offering exploratory tours, the Jungle Cruise has been a Magic Kingdom staple since 1971. Board one of 15 passenger trampers guided by a friendly skipper. 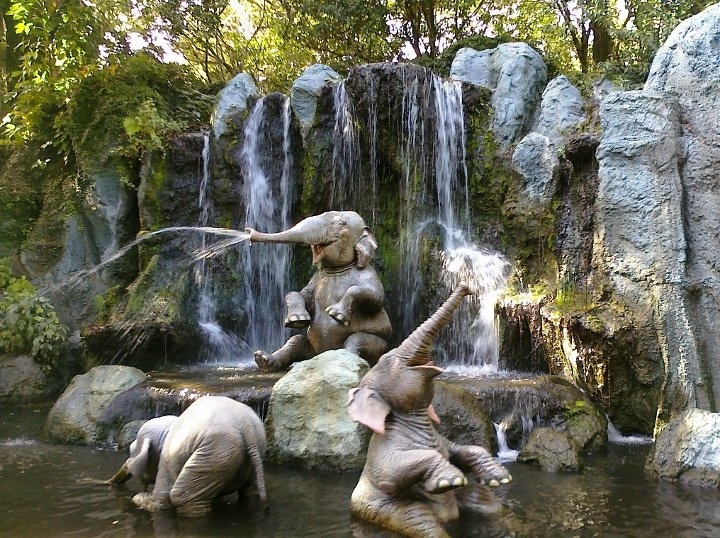 This particular role calls for a bit of personality, as Jungle Cruise Skippers are known for their witty quips, corny one-liners, and clever improv. Your skipper will navigate the winding waters (hopefully steering clear of that waterfall) pointing out wildlife highlights along the way. 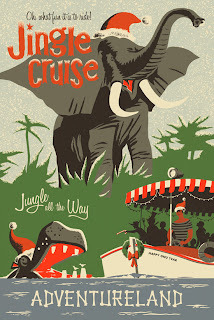 Your cruise will include a host of audio-animatronic critters, such as: hippos, zebras, lions, and playful elephants, as well as a rhino who's trapped himself a few poachers up a pole! 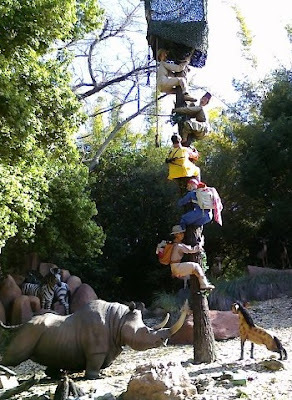 If you're visiting during the holiday season, expect this attraction to have a merriful makeover during your stay! From November until early January, the Jungle Cruise becomes the Jingle Cruise, complete with holiday décor and scripting.